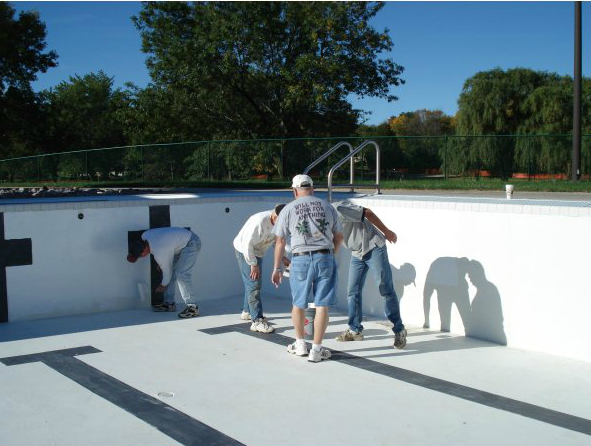 Bluedream Pool is experienced with pool painting and can tackle any pool painting job depending on your needs. We have completed many pool painting jobs and have many satisfied customers. 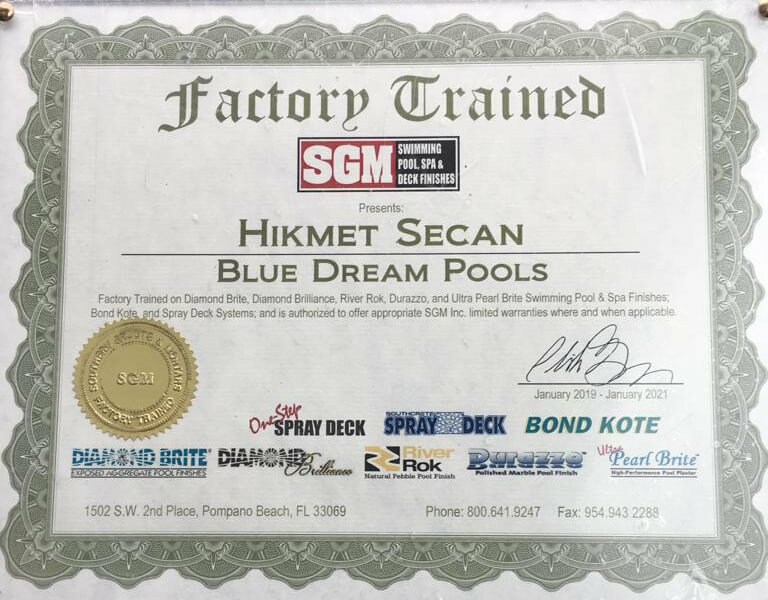 Our staff are fully trained to undertake your pool renovation, pool product installations or pool maintenance.With more than ten years experience, we also your local, licensed, insured, reliable, reasonable and experienced painting expert in New Jersey and Eastern and Northeast Pennsylvania area. We are also a pool paint removal specialist, contractor company. Whether you want your inground swimming pool painted or pool paint removal, please contact one of our swimming pool paint specialists. Got Old Swimming Pool Paint? Please click to see How we remove your existing pool paint.